Oh my god it was hot. It was Africa hot. I mean, I know I live in the South and all, fiddle-dee-dee someone bring me a sweet tea before I get dewy and all, but OH GOD. It's HOT HERE. And there is not nice breeze off of the Gulf of Mexico to cool you off. It's way hotter here than Tampa, I've decided. 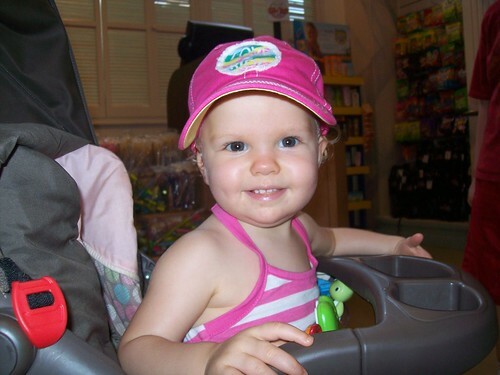 Don't believe the girl's hat btw - it says LOVE2RIDE and she did not. I think I can fairly assess that she didn't love ANYTHING we rode. Not even the Monster Mansion which is supposed to be littler person friendly despite the name. I got sucked into driving a go-kart as well. 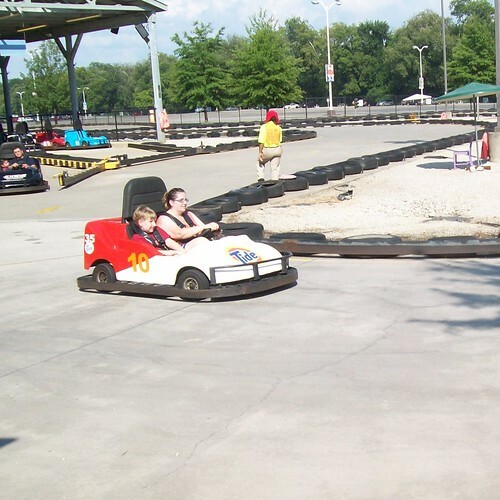 The oldest boy wanted to do go-karts and he was just shy of being big enough to drive. Dad has arthritis so guess who that left? Me. Ugh. It wasn't that bad and was actually FUN once we got going but omg, fat mom stuffed into a go-kart with her bad hips waiting for the thing to start? Not fun. 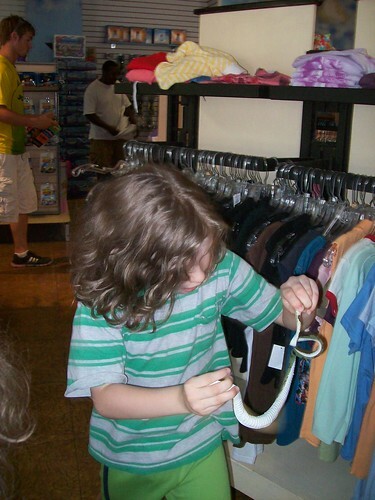 I am fairly sure this was Charlie's favorite moment of the day, when we stopped in a shop and he found a rubber snake. We have learned since that the rubber snake is one of his favorite toys at school. We also learned this trip that Six Flags doesn't have Thomas The Tank Engine land and play area any more it's just some random train themed area. It was sweet, we were there last fall. I'm kind of disappointed. 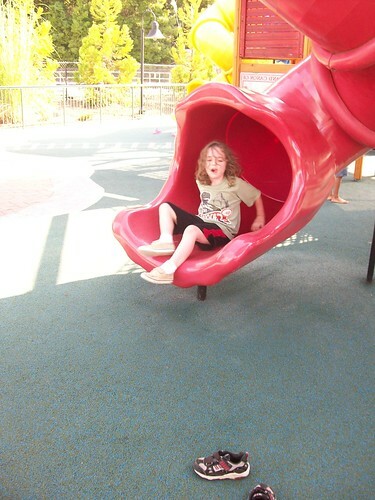 But you know, slides and play area = happy little guys. All in all though,I think we learned that spring and fall are better times for this crew to go. 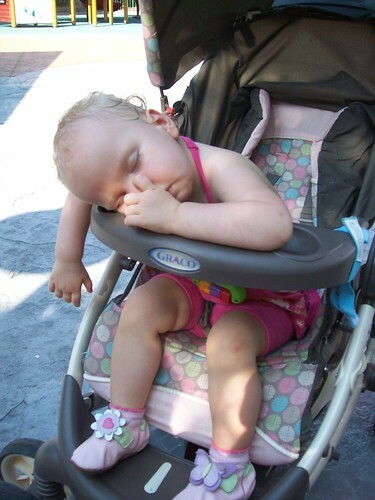 One kid threw up and the rest of us spent the day exhausted and sweating to death. Six Flags, you are tougher than we are. See you in the fall. We are season-ticket holders for the Six Flags in St. Louis, and we love it. We're going to try out the Chicago version next week. Supposed to be in the upper 70's and sunny. When it's not a billion degrees down there, we'll have to road-trip to your Six Flags.